Book, Booker, Bookest: Fuse #8 Inspired "Top Ten Favorite Picture Books of All Time"
Fuse #8 Inspired "Top Ten Favorite Picture Books of All Time"
This is my all-time favorite picture book list as of March 31, 2009. It was different yesterday, and it will be different tomorrow. As I change, so does it. I tried to choose books that I have lived with for some time, but not all books behaved themselves (thank goodness) and listened to my futile attempts to impose order on them. 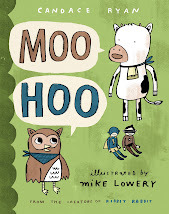 Maybe in a few years my list will contain books by Mo Willems, Laura Vaccaro Seeger, Adam Rex, Emily Gravett, Amy Krouse Rosenthal, Mini Grey, and so many other contemporary talents. Disclaimer: Only one of the books on the list did I fall in love with as a child (i.e. under age 8), but it wasn't because of my discerning tastes. I had little exposure to picture books as a kid. Some Scholastic book fair books, a couple of Golden Books, and a few Dr. Seuss "Beginner Books" provided my foundation in picture books. I was only read to on Christmas Eves, and they were the same couple of Christmas-themed books at that. I fell in love with most of these books as an adult, or an emerging adult, as the #10 selection makes clear. #10 The Gashlycrumb Tinies by Edward Gorey. I first discovered this book as a poster (I had no idea that it was adapted from a book). I was in middle school at the time and didn't know anything about Edward Gorey, or Jonathan Swift for that matter. It spoke to my burgeoning sense of satire, and I took it home that day to hang on my closet door. I've never looked at ABC books the same again. #9 The Big Orange Splot by Daniel Manus Pinkwater. It's probably because I am literally and figuratively Mr. Plumbean. #8 Zoom by Istvan Banyai. This book will either send you hurtling into an existential dilemma, or it will help you appreciate "the size" of life and the universe. That's power. #7 Little Blue and Little Yellow by Leo Lionni. Abstract art with a heart. And someone said it couldn't be done. If we listen carefully enough, even torn pieces of paper have something to tell us. 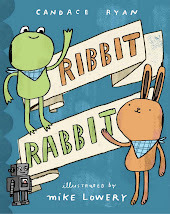 #6 The Carrot Seed by Ruth Krauss and Crockett Johnson. 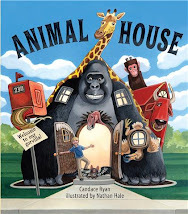 This book should be issued to every kindergartner the world over and reviewed at the beginning of each school year through post-graduate studies. A powerful message of believing in what nobody else will. #5 The Very Hungry Caterpillar by Eric Carle. I fell in love with this book as a kid. My fingers read the holes like Braille, and my eyes salivated at the textured colors of Eric Carle's incomparable collage art. 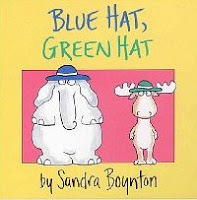 #4 Blue Hat, Green Hat by Sandra Boynton. There should be a law against how funny this book is, it just steals laughter from your belly. Wow! #3 Harold and the Purple Crayon by Crockett Johnson. I don't know if the word "genius" is applied often enough to the work of Crockett Johnson, but this is Nobel Prize material. And the ending, oh... be still my beating pun heart. #2 On Beyond Zebra by Dr. Seuss. Dr. Seuss proves he's the Einstein of kidlit with this book. It took a while for the world to "get" E=mc², blowing the roof off Newtonian physics. Dr. Seuss blows the roof off the alphabet and language itself with this book. 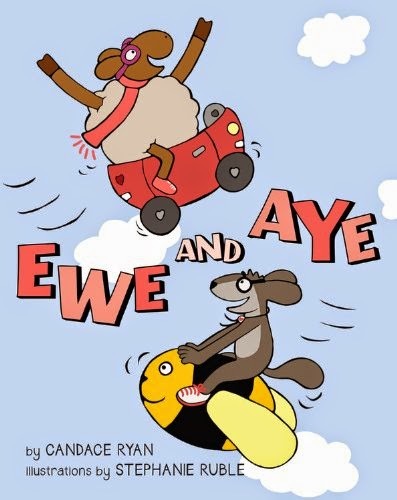 Cool kidlit scholar Philip Nel writes in Dr. Seuss: American Icon, "...On Beyond Zebra is Seuss's Finnegans Wake." 'Nuff said? #1 The Red Tree by Shaun Tan. After reading this book, I'd been wondering since 2005 how long it would take the world to discover Shaun Tan. Then came The Arrival, and the world started taking notice. Please do yourself a favor and read this book. Show someone you love them by sharing a copy of this book. Achingly beautiful artwork overflowing with humanity-- it's not something you see everyday. That's it! Thanks, Betsy Bird, for giving me something to sweat and churn over for one month in coming up with this list. Unfortunately, I didn't burn any calories doing it, but I did have a lot of fun contemplating great picture books! P.S. Notice how many of my faves feature the names of colors? I didn't mean to do that, really. My brain just has a mind of its own sometimes. Good list. I love ZOOM too. And for many weeks after Red Hat, Tink would say, "oops" randomly and crack herself. Oh, hooray for The Red Tree! I love your list, Candace. 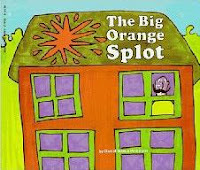 I've never read The Big Orange Splot, but I will as soon as I can get my hands on it. I like that your list is a bit heavy on the unuuuuusual. Thank you! April, you are in for a treat! As a matter of fact, THE RED TREE is the very book I shared as one of my favorites in the spring of 2007 when I sat as a student in your amazing picture book writing class.